***PLEASE READ*** Dibsies will personalize your toy box FOR FREE. No special characters please. Made from High Quality Composite Wood Materials. 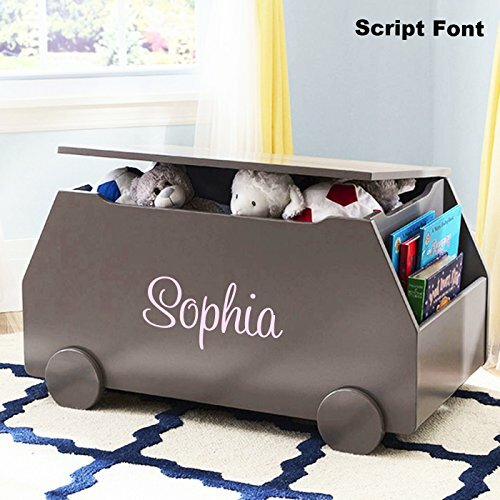 The faux wheels on this toy box are for aesthetic purposes only. The toy box does not roll. Dimensions: 33"W x 17.75"H x 18.50"D, Easy assembly.